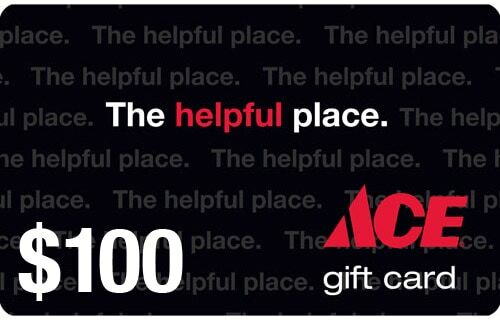 Garage Clean Up + $100 Gift Card GIVEAWAY! We’ve been trying to tackle some cleaning and organizational projects before the fall and winter seasons hit, especially the outdoor ones. Top of our list? The garage. Even though we’ve only been in our house for 9 months, it’s amazing how much gunk and grime we had on the floors. I think most of it was still leftover from the last snowstorm. 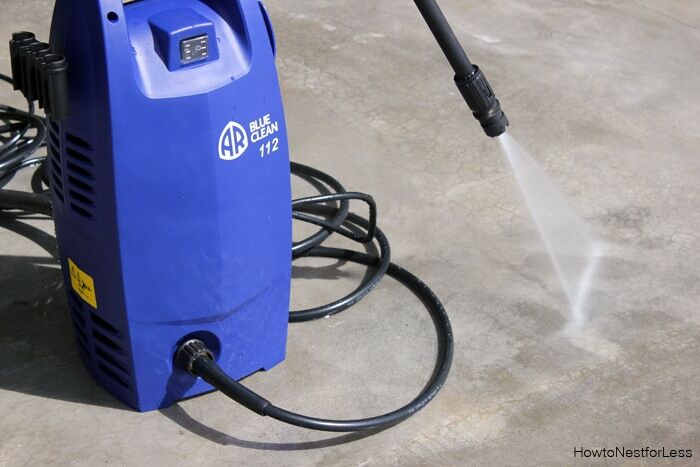 After Ben and I swept it out, we gave it a good cleaning with the AR Blue Clean 1600 PSI Electric Pressure Washer that I recently picked up from Ace Hardware. It was pretty gross how well this thing cleaned up our garage floors. But for now I’ll settle for a nice clean garage floor. Well, at least until this coming winter. Don’t mind that dresser that is in mid-makeover. Yeah, yeah… I’ll get to finishing it someday. or anything else that you fancy? Please follow the directions on the Rafflecopter below to enter. Good luck! 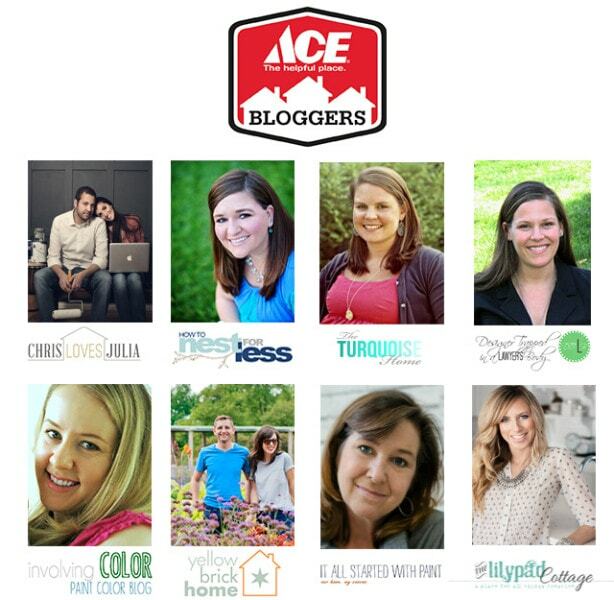 Please also check out Laura from The Turquoise Home. and she’s testing out this power washer today on her blog. PLUS she’s hosting a giveaway for a $100 gift card too! Winner will be chosen one week from today. I would clean my garage and the outside of my house. My garage floor for sure! Garage floor and my back deck!! I would power wash the brick pillars we have in front of our house. I would clean my front porch. I would clean my garage as well. Three kids, a dog and life on an acreage leave it mighty gross! I’m getting ready to move, so basically EVERYTHING (in the old and new houses) needs to be cleaned. This would be a great tool! I’d clean the deck first. I would clean our back deck and patio area. I would clean the vinyl siding on my home as well as all the concrete patio and sidewalks. omg where do i start? probably the kitchen and our horrible garage!!! thank you! I would clean the outside of my house, decks, and garage with a power washer. i would clean my patio and garage floor but then take it over to my sons and help him clean his patio and outside of his house! how awesome and thanks for a chance to win! I would clean my garage and driveway. I would clean my back patio! It’s filthy and painted green :(. I want to clean it and remove the paint. I would have my husband clean our siding and our patio. something about a clean and tidy garage soothes my soul! I need to clean my driveway and sidewalk and siding and outdoor furniture, etc. It looks so easy to use. We would clean the siding on our house. 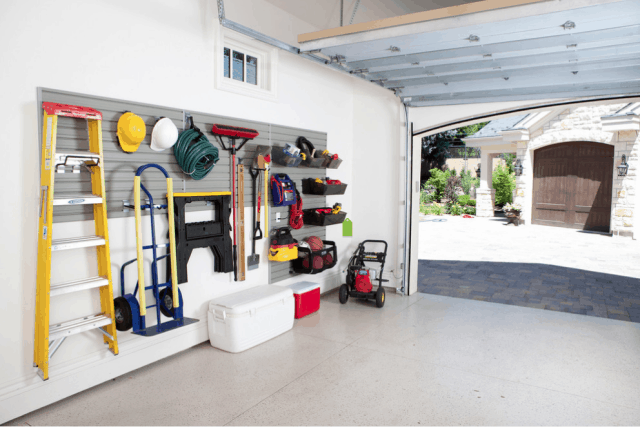 Oh I would love to do our garage floor also!…and the deck and the house siding….and the sidewalks…haha! Just about anything and everything! We have been eyeing power washers! I think we would use it a lot if we had one handy! And any left over $ would go for peg board to help orgqnize garage items. I have many things that could use a good power washing, especially the driveway! It is really gross!! Then again, once I would start pressure washing, no telling when and where I would stop! Thanks for the opportunity to win one of these much-needed items! I need to clean my deck and recoat it. Our unfinished basement (in our unfinished house)! I would clean my deck. I would get some organizational things to clean up our messy garage! I need to clean the concrete in the back of my house, front of my house under the awning, drive way where stuff is due to our recently replaced roof (yay for hail storms! 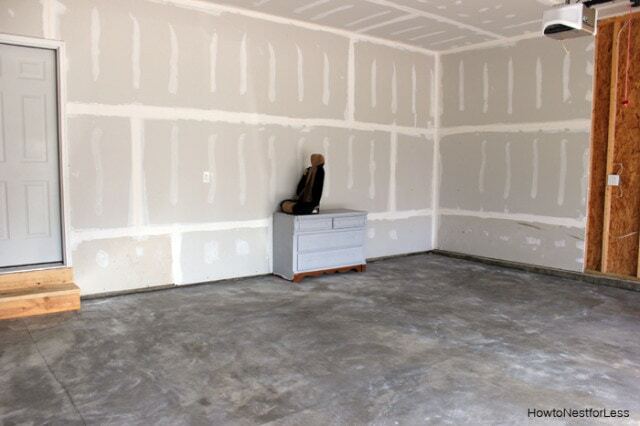 ), and now the garage because it never occurred to me until the blog post but needs cleaning as well. 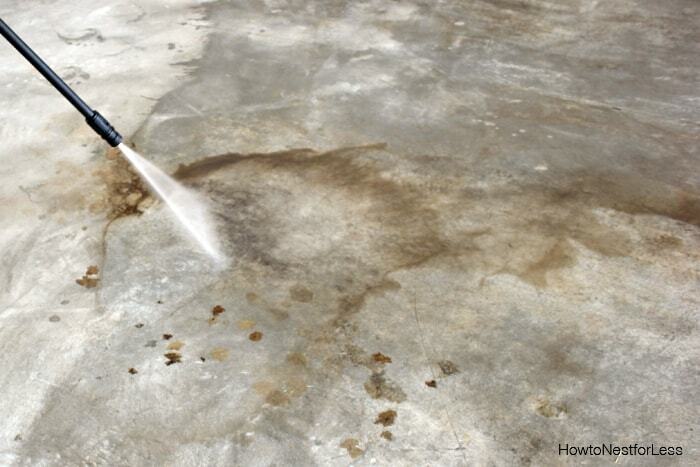 I would clean my concrete patio for starters…then move on to our homes vinyl siding. I would also use it to wash the garage floor. We’ve only been in the house 6 months and it’s managed to get pretty dirty! I would love to use it to powerwash my deck. It really needs it! I would clean the outside of my house, garage and my deck with a new power washer. I would clean the garage and the driveway. I need to clean my garage and concrete driveway. I have a brick home, so I would use this to wash down my house. I am interested to see how much of a difference it would make. I would clean the outside of the house and windows. I would power wash our pool deck! I need to clean my whole house! I would definitely clean my back patio. It is huge and has not been power washed since I purchased the house 8 yeas ago! I’d power wash the house, it needs it! Also, we bought the Rubbermaid FastTrack set for the garage and I love it! Making settlement on a house tomorrow. I could powerwash A TON of stuff – the house has been sitting empty for over a year. Ick. A good clean up from the weather exposure. I would clean anything and everything that CAN be cleaned, starting from the side walk and working my way to the back patio. Love your blog 😀 If I had a new pressure washer, I would help my mother properly clean her deck, instead of having her do it all by hand before staining it. It would be a huge help for her bad back. Unfortunately, I’m in a tight budget so I can’t afford to buy one for her. My fingers are crossed! I would clean our deck. We’re getting ready to put our house on the market, so we’d be cleaning the entire outside of the house. My house! and I love the look of our front walkway when powerwashed too! I would clean my garage floor too! 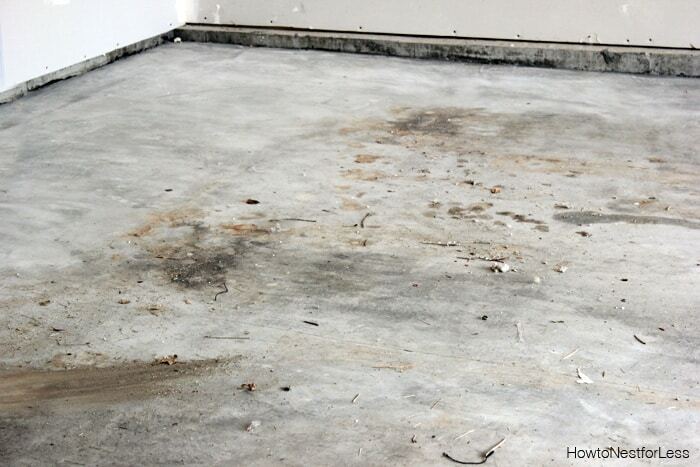 Our garage floor could use a serious cleaning! I would clean our garage and our deck! I would clean our deck and swing set. The windows on the second floor of our new house. What an awesome giveaway! So many ways I could spend $100 at Ace to update our organziation at our home! I would power wash the outside of my home and porch. I would clean the sides of our house! The garage. 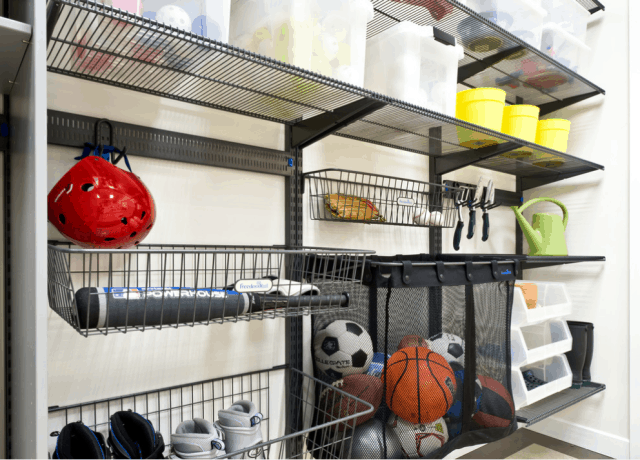 With twin 2 year old boys (with very stinky diapers that end up in the garage) and 3 other kids ages 8, 7, and 4 and another one on the way we need to use every inch of the house and the garage could use a good cleaning! Our deck and the exterior of our home needs it BAD! I would clean our carport and front porch. I would clean the garage, the patio and the deck. Also, the gutters could be helped by one 🙂 . I would clean our deck and railings and boy do they need it! Our very dirty and old fence. Our front porch REALLY needs a good power washing! Our patio, driveway. It would also be great to spray our house down because we are going to be painting it soon. I would clean the outside of my house. Both the front and back patio and the driveway!! My 70s style front door and stoop are mostly awful. Wait. I take that back. They are completely awful. Since I can’t move, I am hoping that a nice power wash would at least bring us up to the 90s or so…. I would wash my sidewalk and porches. I would clean the patio and porch, and the exterior of our house… especially the limestone that has gotten so icky and is impossible to clean otherwise. I’d like to clean our siding! Our deck and brick on our home! I would clean the outside of our house. it needs a paint job in the worst way! My garage is also in need of a good cleaning! We bought our house and put all of the boxes in there while we vacationed over the summer and since returning, we only run in there to get the specific item needed. So now it is full of partially empty boxes. Ha! I would use it to clean the second story windows, they are sooo dirty! I would definitely clean our deck! It’s Trex, which supposedly does not require maintenance but we have so many trees, it gets green every spring! I’d make my HUSBAND clean the siding on our house, while I sit and point. I would clean the siding and driveway. I would clean the outside of my home and the driveway. We use power wash our driveway and our deck. I would clean the patio outside!! My back yard concrete area. I would clean the roof over my porch and the sides of the house. I would use it to clean the outside of my house, what a mess that is! thanks!!! i would use it to clean off my concrete patio and sidewalk. I’d power wash the bricks on my home. I would clean my patio and garage. Thank you for the wonderful giveaway. With The Power washer I’d Clean Up My Pool! My deck needs this badly! So many things I could clean with a power washer…the garage, the brick, the sidewalk. It kinda makes me what to do some fall cleaning. I would clean our sidewalk and our brick steps. They need a good cleaning. Oh my goodness! We could sure use one of these! We just installed our own sprinklers and now the driveway and sidewalks are a muddy mess! I would finally clean my garage floor. The former owner put carpet on the floor on my single car garage and I really need to drag the filthy carpet to the curb and give the concrete a good cleaning. I would clean my garage and my shed. I would wash our patio and our house. I’m sure my husband would have ideas too! You’ve got my mind racing with things I can clean! I’d love to do our fence, back porch and garage door for starters! I would clean the siding and carport. I would clean my balcony. Thanks! I would wash our patio and grill!! I’d clean my front & back porches! This would be great for the garage before painting it. The siding on the house. It is dirty and in need of some TLC! MY garage and garage door. That would save us so much time then having to do it by hand!